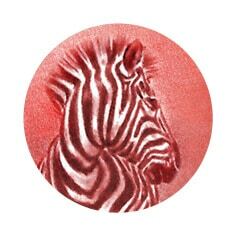 For this year’s art fair, Investec has partnered with award-winning South African artist Karyn Wiggill, to create an intricate range of miniature artworks, all of which fit into a small red dot. These 16mm x 16mm artworks communicate a series of interesting facts about the art world. These miniatures will be on display on the Investec wall at the walkabout meeting point. Together with an informative Investec brochure and a magnifying glass, all visitors will be able to a closer look at each piece, learning more about the art of buying art. The Investec wall will be on display at the Investec Cape Town Art Fair from 15th till 17th of February.